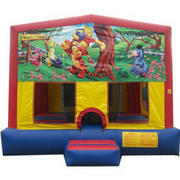 15x15 Winnie the Pooh themed moonwalk with over 200 square feet of jumping room. Listed pricing is for grass setups. Hard surface may incur additional costs. 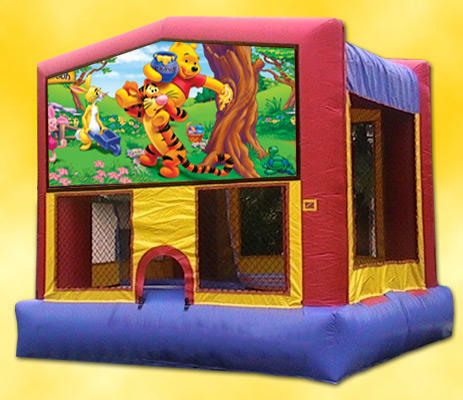 This unit requires 20ft x 20ft x 13.5ft in actual space, power within 50ft of a dedicated electrical outlet free of glass, rocks, sharp objects, dog bombs, tree limbs/branches, gutters, etc.